First the author teaches basic sword movements: thrusts, slices etc. Although she keeps it fun, she draws on her years of martial arts training to teach the true movements that combine balance, focus and precised muscle control. 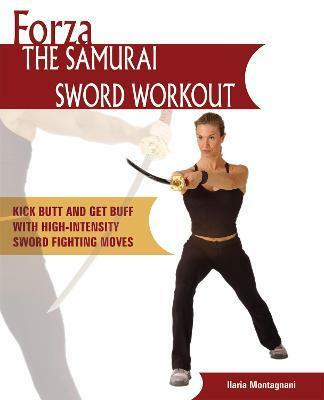 Then the author explains the benefits of each movement and her sword fighting program as a whole. In part three of the book she brings it all together showing how to string movements together into a heart-pounding, full-throttle workout. Ilaria Montagnani holds a black belt in Karate and has trained in kickboxing and sword fighting for over ten years. She is a regular fitness instructor at Equinox Fitness Club in New York City, where her workout was voted best exercise class two year in a row by New York Magazine and one of the "Top Ten Workouts" by Shape Magazine. She has taught throughout the United States as well as in Canada, Japan, Russia, Sweden, Spain and Italy. Ilaria has appeared on numerous television shows, including "The Today Show," "Good Morning America," "The Rosie O'Donnell Show." Her Forza workout was featured on "ABC News," "Inside Edition," and "The CBS Evening News."